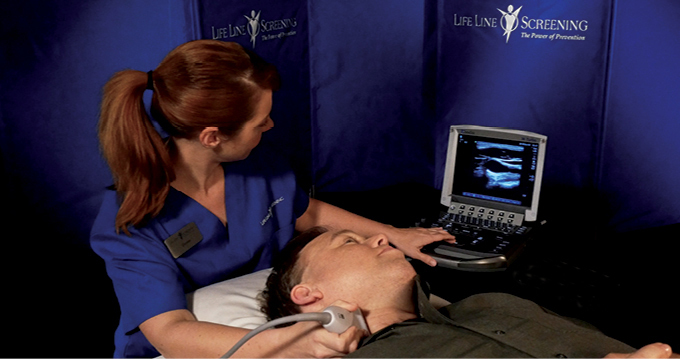 Carotid Artery Ultrasound to screen for plaque buildup in the arteries that supply blood to the brain. Atrial Fibrillation to look for an irregular heartbeat. Peripheral Artery Disease to screen for plaque buildup in the arms and legs. Abdominal Aortic Aneurysm ultrasound to screen for an enlargement in the abdominal aorta, the largest blood vessel in the body.